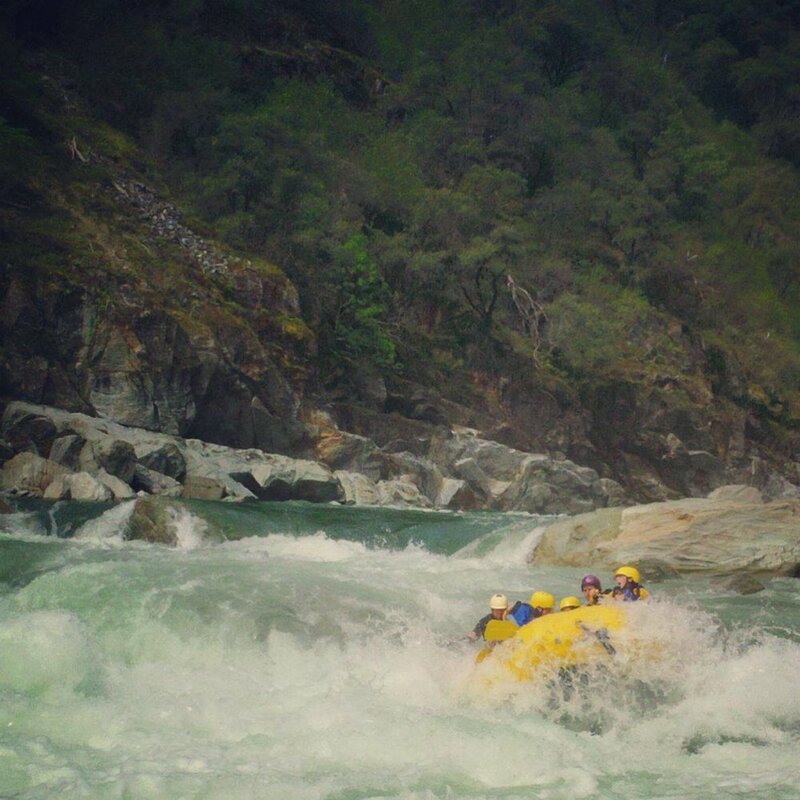 The North Fork of the American - Chamberlain Falls run is a full day rafting trip on a stunning undammed section of river. The river flows freely through many miles of wilderness before it meets you at the put in. The flow changes every day; sometimes the river is a muddy frothy beast throwing the raft like useless flotsam down toward the sea; other days, the crystal clear waters meander rapidly through a seemingly endless obstacle course. Nestled close to Southern California (just 3 hours from LA!) is the steepest river in the Sierra Nevada mountains. Cold clear water sweeps the adventurous paddler out toward the central valley. Look over your shoulder and you will see 13,000 foot peaks covered in snow and giant Sequoia trees. Look downstream and you will see lots of whitewater. There is current from beginning to end. Big rapids are everywhere. Rocks are everywhere. Trees reach out into the widest of river channels. The river course changes every wet season. Only a well-seasoned guide can feel comfortable in this environment. And the guests lucky enough to be in their rafts.